Deacon Wil has been a parishioner at Corpus Christi since the days at the Bonita Golf Course. He was raised in Savannah, Georgia, graduated from the U.S. 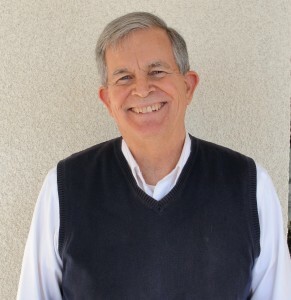 Naval Academy in 1970, served 20 years in the Navy, then taught high school math and physics until he was ordained to the Permanent Diaconate in 2008. He married Dede in 1975. Deacon Wil and Dede have four grown children, Beth, Justine, Francis and Claire and currently five grandchildren.